In order to get the full picture, or at least a bigger picture, of how the astrological influences are playing out, you need to reflect upon what’s transpired in relation to what you expected. If you didn’t expect anything to happen, reflecting is always 100% accurate because the astrology can make things fit perfectly. To me, the act of reflecting is the opportunity to refine my understanding of what I see playing out in order to be able to see what is coming in a more refined light. 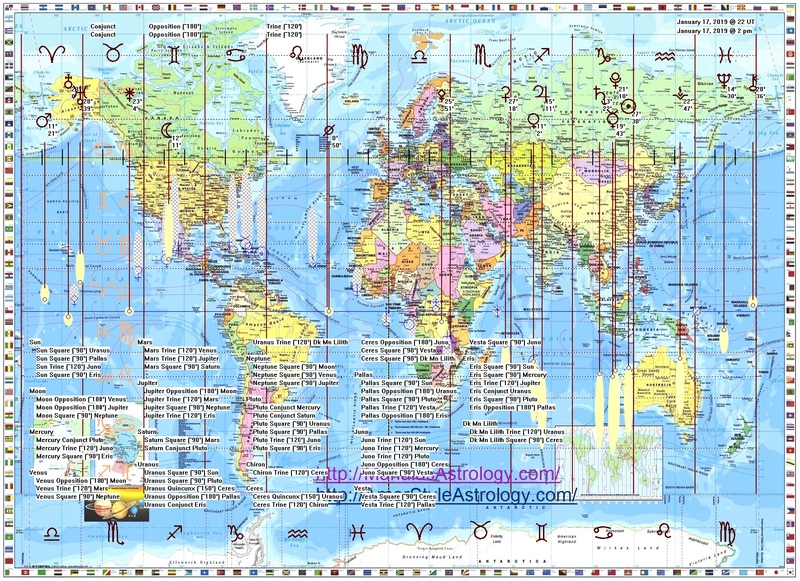 As reference, here is the current planetary map and here is a link to my previous article. When you look at the map, notice that the planets, when direct, move from left to right (and all the planets are currently direct). Back when we start all this, Mercury was in mid Sagittarius conjunct Jupiter. For background, the Sun has just transited Capricorn past both Saturn and Pluto. The Sun represents leaders. Capricorn represent traits that they should have been showing restraint, being responsible and showing self-control. In the US, the government shutdown started on the 22nd of December. If you look closely at the map, you’ll see that it was at the Full Moon. Mercury, at the time, was conjunct Jupiter and in opposition to the Dark Moon Lilith. Lilith is a trigger and Jupiter is going to amplify the magnitude of the energy and, what did we get? Nothing but news about the upcoming government shutdown. Both political parties jostled for positions, yet we have the opposition point of Saturn directly over the east coast of the US suggesting that is the area where the most intense parts of the Saturn influence should play out. 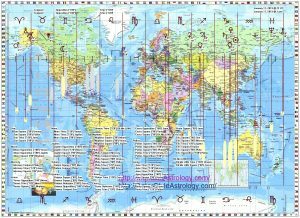 By the 28th, 29th, as the Sun approached its conjunction with Saturn, which is all about restrictions, limitations and regulations was bringing up stalemates between the two political parties. By the 30th, headlines declared it a stalemate. The Sun Saturn conjunction happened on the 1st of January. On the 2nd of January the Dark Moon Lilith was in opposition to the Sun Saturn conjunction and we got the showdown between Trump, Pelosi and Schumer where Trump publicly announced he would take credit for the shutdown. At least, that’s how it was edited for us to see. By the 5th, the leaders were still trying to come across as being responsible and they announce that executive branch officials will not get raises during the shutdown. This was followed by some other officials in the house and senate doing the same thing. Political posturing as if their sacrifices really matter. At this point, we are at the New Moon. Keep in mind that as the Sun approached Saturn, the opposition point was the east coast of the US. It was at this time that word started to come out that Trump could use emergency powers to build the wall on the southern boarder of the US. This is also the start of the conjunction with Pluto. The form of the shutdown is starting to change, and the real secrets should start coming out. This was also the time when we witnessed the tiffs about ‘wall’ verses ‘steal slats’ which could be the Eris square Pluto energy. Shortly thereafter, the presidential address on the 8th and the rebuttal that followed. On the 9th, we get the news that Trump storms out of a shutdown meeting that he had scheduled with the Dems. The excuse is that no one was willing to compromise enough to start talking. This happened just as the Sun compressed towards Pluto and Mercury compressed towards Saturn. And, as it turns out Mars was square Mercury making it an aggressive communication day. I would also like to point out that the interviews for the Barr appointment are now happening in the background and very little press has come out about it. This seems to align with the Sun Pluto conjunction that could lead to longer turn transformations. Remember, Barr is the nominee for Attorney General. 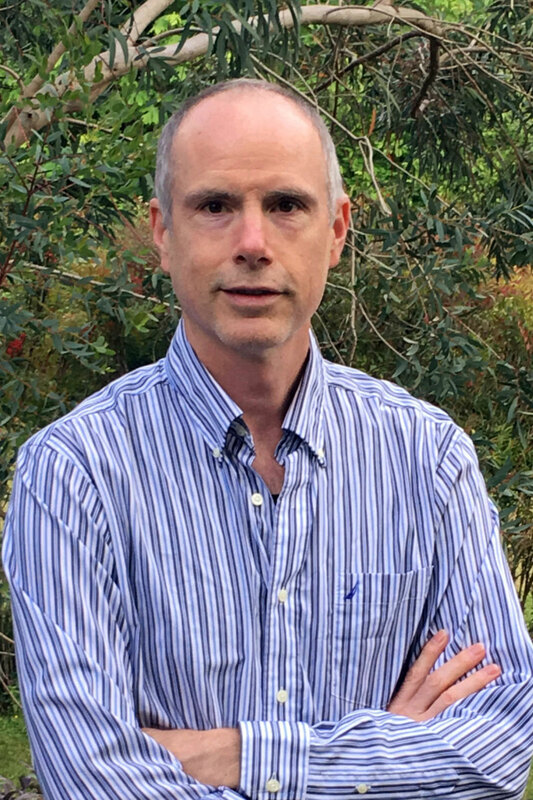 As Mercury conjuncts Saturn, we get news article after article where Trump says he can declare an emergency and build the wall and the opposition parties come out with lots of ‘he better not’ articles showing that there is political show of resistance to his moves particularly in the forms of communication rather than action. Shortly thereafter, in the background, it comes out that the acting attorney general Whitaker will testify before congress on February 8th. On the 8th, Mars will be at the midpoint conjunct Eris and Uranus in Aries and Pallas stands in opposition. The Dark Moon Lilith crossed a perfect conjunction with Pallas just hours earlier. What is unique about Feb 8th, is that there are no aspects to either the Sun or Moon or Venus. I’ll have to consider this in another report. By the 16th, just as Mercury is compressing against Pluto, we hear that Pelosi has canceled Trumps invitation to speak to the house as the means for delivering the State of the Union address. At the same time, we see information that comes out saying that if the government is shutdown more then 30 days, the president should be able to issue layouts as RIFs. Seeing that we’ve caught up to today, if we were to continue this into the future, we would expect that there will be more secrets revealed over the next few days as Mercury compresses against Pluto regarding what’s going on behind the scenes of this shutdown. In other words, we would expect to get glimpses into what’s really important and what needs to be addressed as we move towards the eclipse which is only a couple days away. Ultimately, there is something that is not out in the open, yet. Come the 21st, 22nd, we’ll be caught up to my last report. 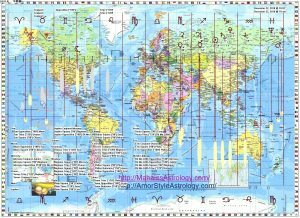 When we go back to the New Moon of December and the Sun entered Capricorn, we find that Chiron’s point of opposition is directly over England and Mars is compressing up to it. And, as it turns out, but the Sun and Moon are square Chiron. When you look at the political news, the Irish government was preparing for a no-deal Brexit situation. Brexit is basically – the news in England like the shutdown is – the news – in the US. By the 30th, MPs restate that they plan to delay Brexit if May’s deal falls through. This is aligned to restrictions and regulations against leaders as the Sun and Saturn come into conjunction. By the 3rd, Juncker and May hold ‘friendly’ talks while we hear that the UK Labour Party would face an electoral wipeout of it supports May’s Brexit deal. Note that Uranus is square Pluto and on the 6th when this was in the news Lilith was square both Uranus and trine Chiron. By the 8th, Brexit secretary Barclay is recorded to having stated that the UK is not seeking to extend article 50. This is happening as the Sun is compressing against Pluto and then on the 9th, the Labour Party announces it will put forth a no-confidence motion if May loses Brexit vote. Also, in the background, the World Bank warns of catastrophes in a no-deal situation. Come the 13th, as Mercury compresses into its conjunction with Saturn, May warns of the breakdown in democracy if Brexit doesn’t happen. Thus, once again bringing up the idea that Article 50 could be withdrawn before the Brexit date. Come the 15th, as Mercury compresses against Pluto, there are more articles talking about how the Labour Party is damaging the Brexit process and how the government as failed on its primary mission which is to remove the country from the European Union. Yet, May survives the call of no-confidence and the crisis continues. What does this mean? we’re still left hanging! The eclipse happens on the 21st in London so we’re anxiously waiting to see what this energy will bring for the UK. Lilith comes into perfect opposition to Chiron on the 27th and Mars is quickly approaching Eris and Uranus. It would be worth looking at the energies of influence come March 29th which is the scheduled Brexit day, but I think of this date as a completion rather then a start. For these two governments, they both seem to be in a state of turmoil. I would expect that if you looked deeper, you’d find the same thing in France, Germany, Italy, Spain and even the surrounding areas. Come the eclipse, the Sun moves into Aquarius. This suggests that we should expect the leaders to be more temperamental, uncompromising, aloof, break their promises and do it all while they say they are helping us at the same time. Thus, I’m expecting a drawn-out government shutdown and the Brexit situation to fester. Come mid-February, Mars is going to be conjunct Uranus and the Moon which suggests that the people’s awareness is going to be on the rebellion. Thanks for playing along. Let’s watch what happens. 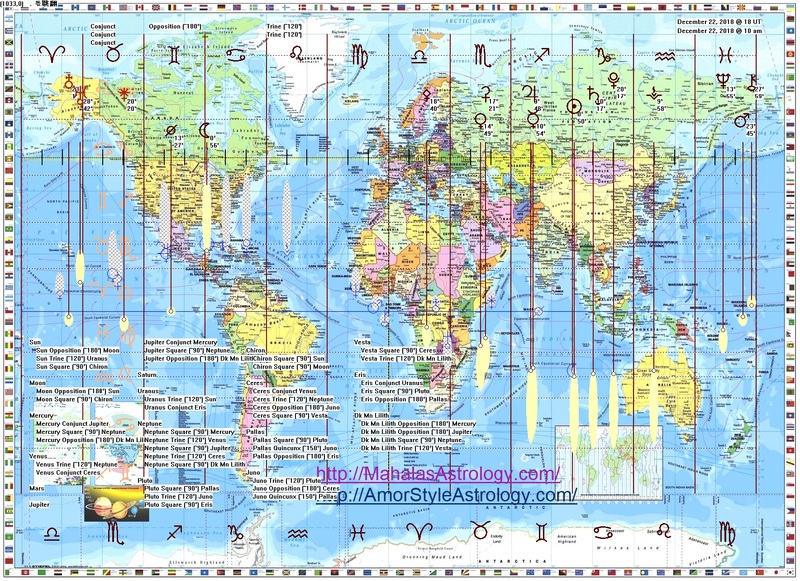 Sun 04° Taurus 07' 00"
Moon 08° Capricorn 03' 16"
Mercury 09° Aries 52' 32"
Venus 04° Aries 44' 47"
Mars 16° Gemini 00' 20"